Signal conditioning improves the performance and reliability of the measurement system. 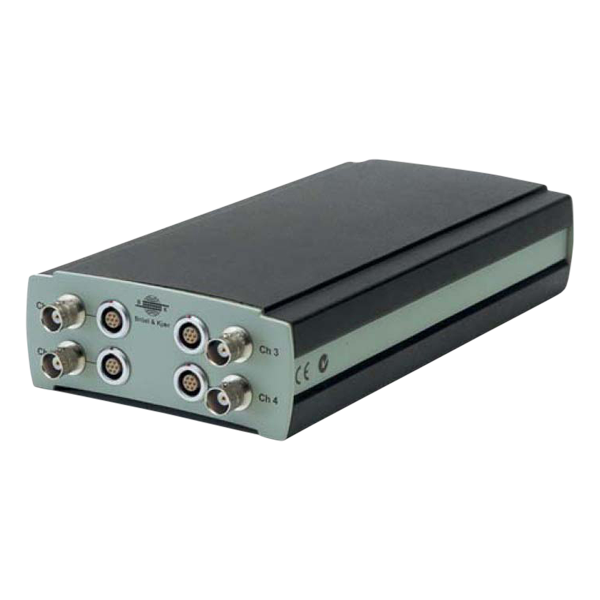 A typical system includes the signal conditioning hardware, which works as an interface between the raw signals and transducer outputs to the measurement device. The conditioning amplifier will supply the system with signal amplification, electrical isolation, filtering, powering of transducers, overload detection, and Transducer Electronic Datasheet (TEDS) support. Bruel & Kjaer Signal conditioning electronics are available for use with Charge and IEPE Accelerometers, and 200 volt, 28 volt and IEPE Type Precision Microphones.